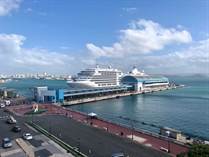 San Juan is the capital city of Puerto Rico and Old San Juan is the oldest settlement in the Commonwealth. In 1972 it was listed on the U.S. National Register of Historic Places and was named a National Historic Landmark District in 2013. Old San Juan is a tourist mecca, with a number of museums, parks and monuments throughout the small neighborhood.